There will be no registration of younger than age groups stated, ie-no one born in 2015. Returning players have the first opportunity to register for the 2019-20 season. Online registration will be available March 1, 2019. You are not considered registered unless all supporting documentation is received, including payment. Any outstanding fees from the 2018-19 season are due before registration for the 2019-20 season is accepted. Any player not showing complete payment by July 31, 2019 will not be eligible to play until payments are received in full. If expired, you will have to take the Parent or team staff version, in order to register your child. Please attach proof of certification to registration form. Proof of Residence ALL members must provide a copy of Proof of Residence each year. Registration is considered complete when all criteria are met, including payment of the $50 deposit. 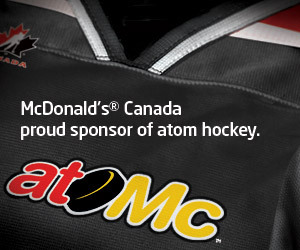 Credit card: you will be prompted to Hockey Canada’s secure online payment processor to complete the registration. Payment in full is required at time of check out. Cheque: you will complete the registration and then have the following options. PLEASE NOTE: Deadline for registration is March 31st, 2019. Late fees will apply after this date. If you are applying for funding please select ‘Cheque’ and notify the JDFMHA Office (office@jdfminorhockey.com) to avoid payment collection. JdFMHA's family plan is full price for the first 2 players and 1/2 price for each additional player. The lowest fee is halved. Any rep fees are still assessed. "School 62 from the Parsons Bridge west to Kangaroo Road, and the Highland Area. Residents from the Township of View Royal shall be in a shared draw zone between JdFMHA and Victoria Minor Hockey Association. The residents of this shared draw zone have a one-time choice of where to register starting with 2007/08 season, depending on space available. Residents in the District of Metchosin shall in be a shared draw zone between JdFMHA and Sooke Minor Hockey Association. The residents in this shared draw zone have a one-time choice of where to register starting with the 2005-06 season, depending on space available. All statements pertain to both recreation and carded players." This is very important to keep in mind when registering your player. Players have to live in the draw zone stated above to register in JdFMHA, hence the proof of residency is required at the time of registration even for returning players. This should be a recent utility bill showing the current address of the player. All bills are kept with the registration forms and are treated as confidential information. 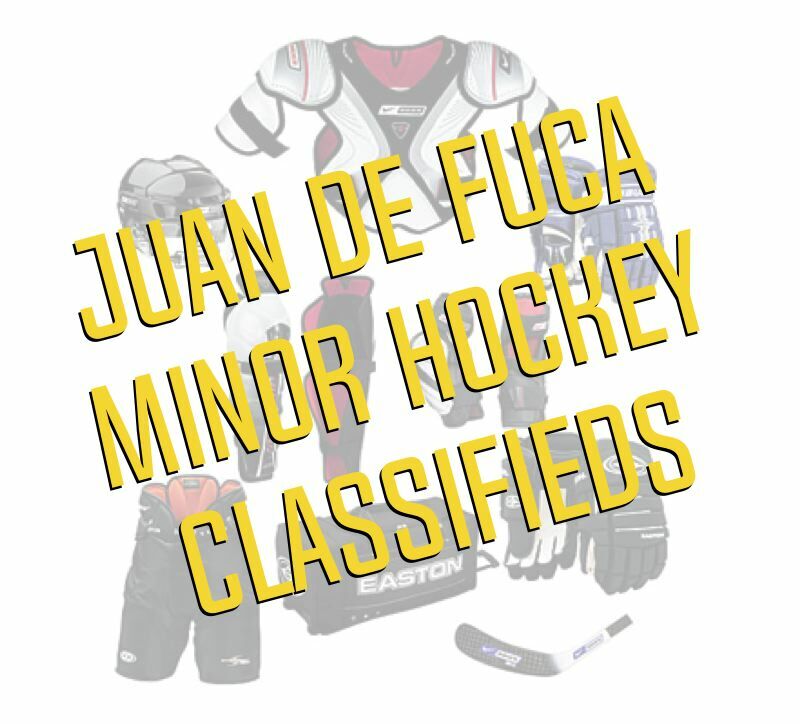 Proof of residency is required to confirm the player's residency within the Juan de Fuca Minor Hockey Association Draw Zone. Any player who does not legally reside within the JdFMHA draw zone must produce written permission from BC Hockey to play within the JDFMHA. If a player is registered in JdFHMA that is not in our draw zone, their team could be disqualified from play-offs, etc. JDFMHA cards representative (rep) teams in the PeeWee, Bantam & Midget divisions. Players wishing to try out for rep teams are required to pay a non-refundable tryout fee payable at the time of registration. As well at the time of registration, if your player is trying out for a rep team, a rep fee is also collected at the time of registration post-dated for October 1st. If your player makes the team, these fees are used to purchase extra ice for these carded teams. If your child does not make the rep team, your cheque will be returned. Representative or Development Try Out Fee: The notice to withdraw needs to be received by August 1st, otherwise this fee is non refundable. Players on Representative or Development Teams: The notice to withdraw needs to be received by October 1st; if that requirement is met, you will be refunded 75% of all fees; the $50 deposit is non refundable. There will be no refunds on notices received after October 1st. Players on Recreational Teams and First Time Players: The notice to withdraw needs to be received by October 15th; if that requirement is met, you will be refunded 75% of all fees; the $50 deposit is non refundable. There will be no refunds on notices received after October 15th. ANY player registration that is withdrawn before August 1st, will be refunded their full registration less the $50 deposit. Withdrawals for medical reasons and other extenuating circumstances will be reviewed and issued at the discretion of the executive.